Obituary for Margaret Amy Taylor | In Memoriam Funeral Services Inc.
Margaret passed away peacefully at Bethell Hospice in Caledon. Pre-deceased by her loving husband Scott (2010) and her beloved son Ron (2012). Mother to daughter Sandy (Bruce), daughter-in-law Laura Taylor, beloved grandmother to Andrew, Jessica , Samantha, Jessica , Steven, Olivia and Carrie-Lyn. Dearly loved by her brothers Frank, Ray, Tom and John, and sisters Shirley and Susan. Margaret was a caring, loving woman who endeared herself to all who met her. She lived through many life challenges and health conditions with a fighting spirit. While Margaret was passionate about her favourite sports teams and card games, the time she spent with her family was most important to her. She will be deeply missed by all who loved her. A celebration of life will be held on Saturday, April 13, 2019 at the Royal Ambassador Conference Centre (Conservatory room) from 2:00-5:00 PM. The conference centre is located at 15430 Innis Lake Road, Caledon, Ontario, L7C 2Z1. 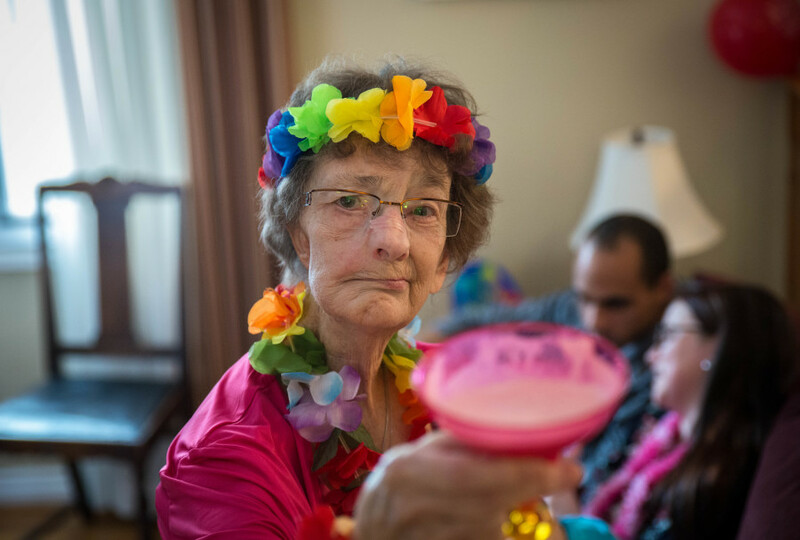 In lieu of flowers, the family asks that donations be made in Margaret’s honour to Bethell Hospice, the Heart and Stroke Foundation or the Canadian Cancer Society.